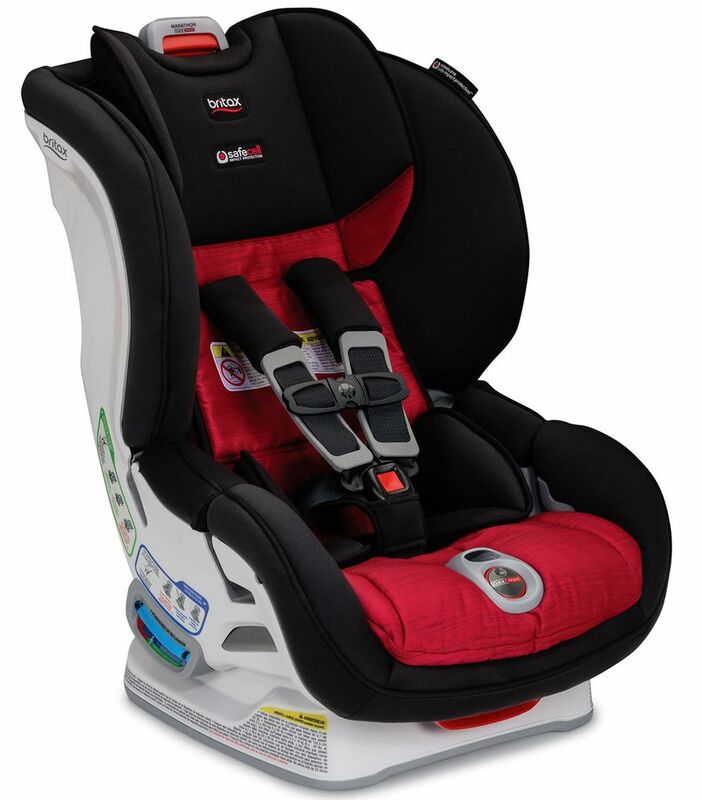 We have had Britax Marathon car seats in the past, but have found a new love with this click- tight model. So easy to install, and the Ollie Polkadot pattern is so pretty for our little granddaughter. It fits in my car perfectly! This car seat not only looks great but itâ€™s very easy to install. The clicktight functionality gives me the piece of mind that the seat is installed properly. No more climbing into car seats to make sure they are secured tightly. I ordered this car seat from Albee baby because it was $50.00 cheaper than ordering it from the brand maker. I saved money, got free shipping, and received the car seat three days later! I will definitely be using Albee baby more! I bought this because my niece was in a Britax convertible years ago and my older daughter has 2 Britax forward facing seats. 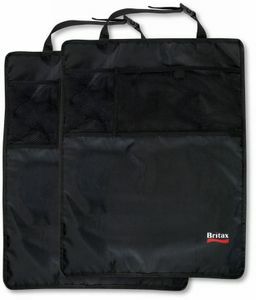 I LOVE the Britax Frontier with Click Tight, so I knew I'd want to get a convertible car seat with ClickTight for my baby. BUT this seat is SOO heavy it's hard to move (which I try not to have to do but it's the only seat we own since it was so expensive). The ClickTight is not easy like with the Frontier it is extremely difficult I can barely get it closed I have to litterally put my knee on it and press with my body weight and wiggle to make it click (and most times it takes a few tries of doing this). Getting a car seat properly installed can be difficult and exhausting and I thought the Marathon with ClickTight would help me not have so much trouble but that is NOT the case it is just as difficult (in some ways even more difficult) than other seats. It does have a no rethread harness but the straps on mine get uneven when you loosen and tighten them and you have to take the seat out and loosen them all the way and tighten them all the way a few times to make them get back to even and then REINSTALL the seat (which is a huge pain) and defeats the purpose of the no rethread harness for me because it's much harder to do that than to rethread a car seat harness. So disappointed in the color options!! 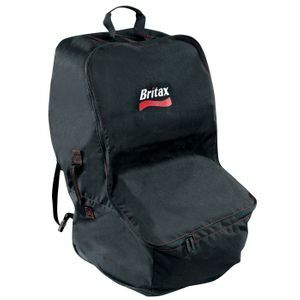 I'm a LONG time Britax car seat and specifically a Marathon user. I'm looking to purchase our 6th Britax convertible car seat for our youngest baby girl, and I'm soooo disappointed in the color options for all of the Britax convertible car seats. I've never had a problem finding a "girly" color option for my girls, but that no longer exists. This seems like a MASSIVE oversight/poor decision. I don't know any little girls who wouldn't pick something like pink or purple over gray and black. I've loved all of our Britax car seats, but because of something as silly as color, I'm planning to switch brands. I bought this for my 4 mo daughter for Christmas. She was previously using the B-Agile Infant car seat and seemed uncomfortable. This car seat is awesome, seems super comfy for her. Riding in style! My daughter is so much happier in her new car seat! Sheâ€™s comfortable, safe and she can see out the window, which keeps her happy! I love how easy it was to install! I feel very confident in it being installed correctly because it was so straightforward and easy! I also feel confident in its safety. I bought one to start with just to see if we liked it and bought another one shortly after because it was obvious my daughter liked it. The price on this website was the best price I found and if you use Ebates, you can get cash back! Easy installation, heavy duty frame, and comfortable for the little one. I am very pleased with the purchase. My daughter enjoys sitting in her car seat. This was a great purchase with a stylish look. This product feels and is a sturdy item. Easy to install. And Removing the material for washing was super easy. Although the car seat is on the heavy side. Love this seat. It straps solidly to the car seat. Adjusting the straps is intuitive and itâ€™s easy to get my grandchild in and out. The quality and ease of use are worth the price. Note that this seat is quite heavy. It would be difficult/impossible to travel by air with it. Great carseat - had been shopping around for a good price on this exact car seat! Super fast shipping for one! Just used for the first time yesterday my daughter hated her infant seat once it started getting to heavy I decided to buy this. She passed out instantly has so much room and very easy to install!! Love it. 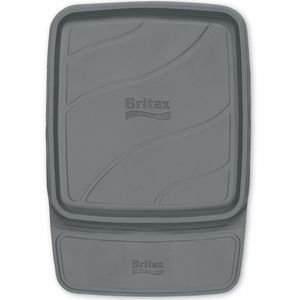 I have always bough Britax car seats and Iâ€™m never disappointed! Love the car seat. Great experience shopping with Albee. I would definitely recommend. They had the car seat I wanted at the best price. The best Car Seat Hands Down! I have bought many car seats and this is the first one that I can get tight in my vehicle. All the others seem loose on leather seats. I love the click tight option b/c it is fast and safe. I will now only buy these car seats moving forward. If you are contemplating buying this seat. DO IT ! high quality materials. Nice and comfy looking finish. I liked how easy they click tight system works...... well it does take quite a bit of pressure to close; however. Once locked, the seat is really secure in car. I bought this for grandkids and expect it to go through many stages. 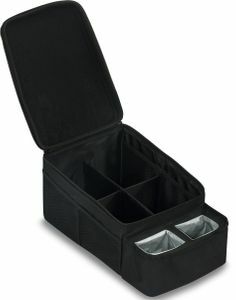 It is very durable; a real quality product. The red color blew me over. I couldn't pass up. My son is a small 5-year-old. He's 31 pounds and 42" tall. 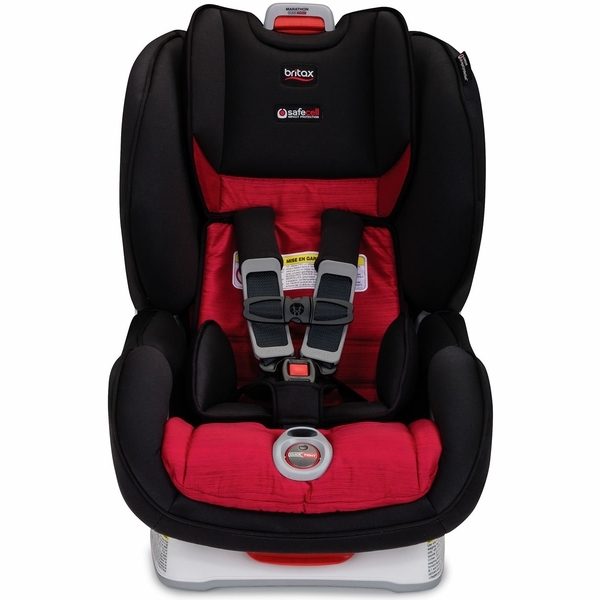 I want to keep him rear-facing as long as possible (it's recommended to keep kiddos rear-facing until they grow out of the requirements for their individual car seat) and the Britax Marathon Click Tight allows US to do so! I was able to safely and properly install this seat in my 2017 Ford Explorer behind the driver seat thanks to the 7-position recline and built-in level indicator (genius!!). I love the no-rethread harness and Click Tight installation, too! The material on the dual comfort Marathon is perfect for my active little guy. He's often getting in the car after running around at school, soccer, or playing and the last thing he wants to do is stay warm! The grey fabric (where the majority of his body sits in the seat) allows for ventilation and the black fabric (behind his head - again, genius!) wicks away the moisture so he's comfy when he gets in the car and while on-the-go! Speaking of comfort, he has no problem or complaints about sitting "criss-cross applesauce" while in his seat as he has plenty of hip space while in the seat to allow for it ergonomically. He's also 5, so we have conversations about how riding facing backward is safest. It's easy for him to climb in and out of the seat himself and the buckling him is easier than when he was an infant! Thanks, Britax, for making a seat that can accommodate extended rear-facing easily, comfortably, and safely. I had two carseats for my twins. Good quality and fast delivery. Checks all the boxes for a Convertible Car Seat! This is my favorite of all of our car seats, and I will be buy more when our 2nd is ready for a convertible. (1) ClickTight installation is a breeze, we install weekly in our nanny's car and I have it down to where it takes minutes. (2) No Re-thread harness works perfectly. When you are watching your child's height versus three different car seats this really is necessary to be confident they have the best and safest fit. (3) Fits all our cars. 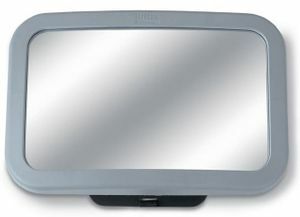 We install in a SUV and two small sedans without issue. ConsMust adjust recline and then install, the first time installing in each car may require trial and error while you figure out the right recline. The button on the side of our Nuna RAVA is easier for this. This clicktight option is amazing!! makes installing a breeze!! This car seat is wonderful. It looks great, very easy to use, and my child looks very cozy when riding in it! Quick installation into vehicle makes it painless if you have to switch it from vehicle to vehicle. The safety restraint system is easy to use so your child wonâ€™t get mad at you when you are trying to fasten them in! 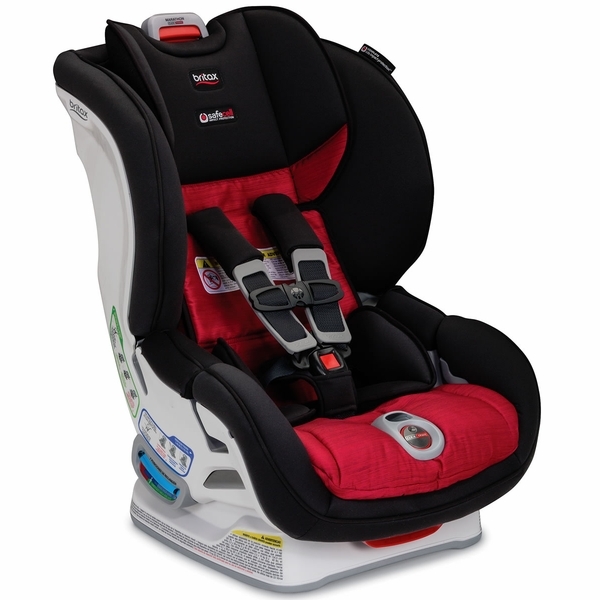 The Britax click and go car seat is so easy to install. As a grandparent, I can easily take the seat in and out of my car without any help. The seat padding is comfortable and the seat is designed for safety. Albee has not only the best price but quick delivery. I recommend the seat and purchasing at Albee. This is an amazing seat. One of the easiest installs out there. Super comfortable and safe! 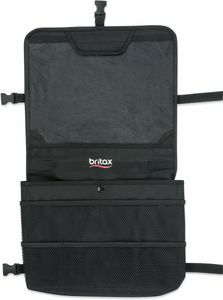 I was skeptical about how simple installing the Britax Marathons Clicktight would be, but it quickly exceed my expectations! It was installed in minutes. Love the Marathon and ClickTight! This is our second Marathon car seat. We loved our first and when our son outgrew the infant car seat, we knew we wanted another Britax. We like that the straps don't get tangled. can be placed/held to the side when getting the child in and out, and now we love the ease of installation with CickTight. He seems very comfortable in the seat and I really can't say enough about how easy it is to get him in and out. 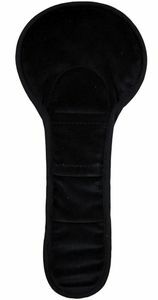 We had another brand for our daughter and the straps were constantly getting hung up or tangled and it was really difficult to tighten the straps once she was in, particularly when it was rear facing. We have none of those issues with the Marathon. I highly recommend this car seat and the price is unbeatable for all the options and safety features. The only reason I didnt give 5 stars is because of the weight. Not a good choice if you will be traveling or moving the car seat regularly. Otherwise, it seems to be much sturdier than our previous car seats. Very easy to install and adjust. We bought 3 to replace carseats that were involved in an accident. We absolutely love them! The clicktight feature is so easy to use and make install a breeze. With having 5 children we are very familiar with installing carseats but this seat has made it so much easier and quicker to move the around. They are also slim enough so easily fit 3 across in our Odyssey. Love love love ! Excellent product. Fits in an older subaru, which are not easy fits. HAPPY. Thank you force the great price on this excellent car seat. Easy to install. Excellent safety reviews. A grandmother could not ask for more. ProsThis seat works in a 2000 Subaru Outback which are notorious for being difficult to stabilize a car seat. Albee Baby offered a great price, with free long distance shipping. The safety touted by this model was my main reason for purchasing this seat. I am adopting a little boy so I don't need any infant seat as he is already 20 lbs. I was happy with the color too - red is auspicious in Chinese culture. This is the perfect fit for our son. My daughter has this seat for her daughter. I bought this one for her son. It is very easy to move from car to car. My grand daughter finds it to be quite comfortable. ProsEasy to move car to car. We recently switched from our daughterâ€™s infant car seat to this one. Sheâ€™s not a fan of traveling, but so far seems to love this seat. It sits up higher than her infant seat and she can see more now, plus the seat is very plush and comfortable, so I think it is definitely a better ride (upgrade) for her. The install is simple and we like the reclining positions, not to mention the safety features. Glad this will grow with her and get good use. I love this car seat for my toddler. Very spacious, yet when I buckle her in, I know sheâ€™s safely buckled in. It is heavy, but overall very happy with my purchase. I Love Love Love this car seat ! Very easy to install , comfortable and above all safe! This car seat cannot be used in 2017 Ford Explorer or truck due to the inflatable seatbelt , I spoke to britax directly for about 30 min and they confirmed. We put it in another vehicle & it s fantastic! I was very pleased with this car seat. We had a chicco next fit and were getting this seat as a second seat. I actually liked this one better so made the next fit my secondary seat (due to the bucket design the Britax was easier to get my rear facing almost 2 year old into) my son is 23 months 23 lbs and 25th percentile for height. I plan to rearface him until 3. ProsInstallation using click tight was super easy. Seat feels very plush and my son seems comfortable in it. 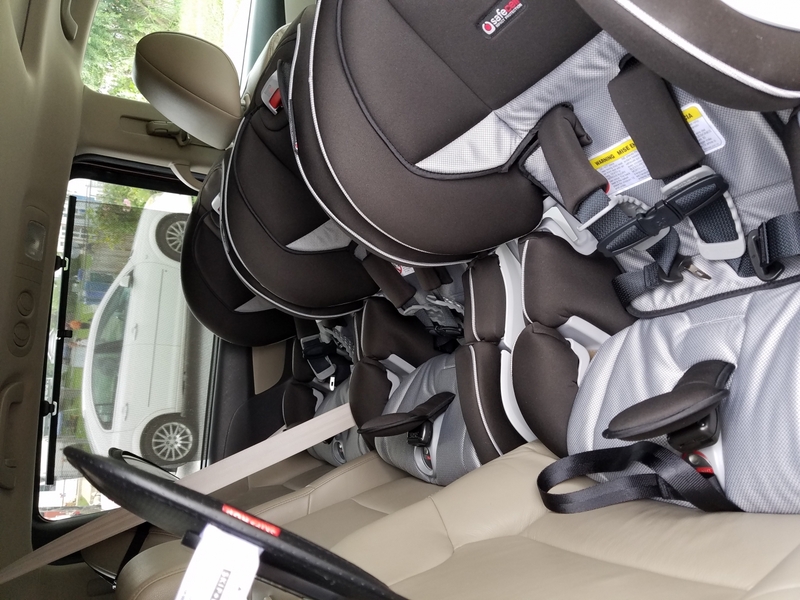 I was able to fit 3 across in my Honda Odyssey (Britax pioneer in high back booster mode and a Graco low back on either side of the marathon). My son in the high back pioneer (bulky seat) can easily buckle himself in. Consthe installations instructions confused me a bit and I thought I was suppose to lock the seat belt before doing the click tight. After you tubing the install I can get a perfect instal in minutes in any position in my van. The other problem I am having is the cover slipping off and exposing the foam. A friend of mine with a similar Britax seat has the same issue except her two year old is picking at the foam. Luckily mine hasn?t noticed and I cover mine as soon as I see it has slipped. Used Britax with my older girls (now 11 &13). Wouldn't change a thing! So pleased with this product and I know it will keep the baby safe. My baby loves this carseat! I have an 11 mo old and she was feeling crowded in her keyfit30 infant car seat. Everytime I'd put her in her old seat she would cry and fuss. After getting this car seat she is alot more comfortable, and does not fuss or cry at all when in it. I love the colora and fabric and overall it was pretty easy to install. Purchased this one for grandparents car, it was the easiest for them to use.I was impressed how easy it is installed and how fast. I have older Britax Advocate in my car and it takes two people to install and tighten it properly, so I was very happy with this one. After struggling with a different car seat for 4 months, my daughter-in-law, daughter, and I found this gem.The click tight mechanism is super easy and secure. The "bolt" clip things that are deep into the recesses of my back seat do not need to be used. Amen. The seatbelt that is in the back seat clips into a compartment that can not be accessed by the child while driving, safety first. Since I babysit my grandson during the school year, it is essential that I have a car seat that I can operate under today's standards. This Britax does the trick.I highly recommend this product. ProsEasy install. Easy use of straps on child. Tighten and Loosen without a struggle. Nice color choices. ConsA bit heavy, but not a deal breaker. No cup holders for cups/toys. Pricey. 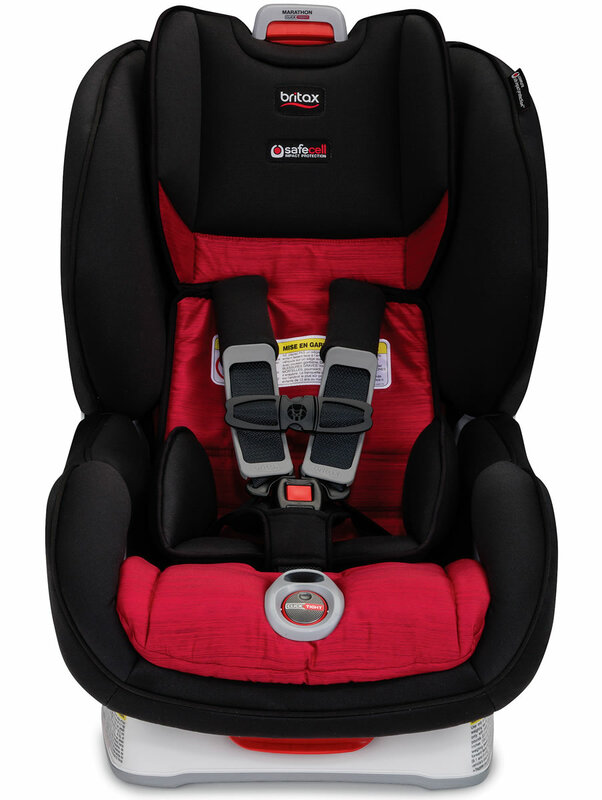 This is our third britax convertible car seat and second of this exact model. Safety is so important, but we live in the suburbs so we also need something comfortable since the kids are in the car daily and this one fits the bill. Both my 1 yo and 3.5 yo love this car seat. Really easy to use as well. Only downside is that it is quite large rear facing so I would measure if you have a smaller car. I just received in mail. I have registered and did call about strong odor when arrived. They said if not gone in 24 hrs to call back. So am waiting til tomorrow to install. I had this seat in cowmooflage for my older child, so I wanted to get the same seat, but no white this time. I feel very comfortable having my infant in this durable, well built seat. The clicktight is a major plus! Easy, secure installation in 3 easy steps: Turn the ClickTight release, thread and connect the vehicle seat belt, and click it closed! Compresses to absorb crash energy and counteract forward movement, keeping your child clear from the seat in front of them. Complete Side Impact Protection surrounds your child in a deep protective shell designed to absorb crash forces and shield your child from debris. 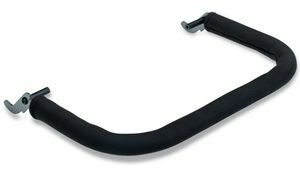 Adjusts for your child's comfort while ensuring the best installation angle for your vehicle. The Marathon ClickTight Convertible Car Seat is an excellent choice for getting your family where they need to go safely, comfortably and with so much ease. With the ClickTight Installation System, now everyone can install the car seat securely and confidently by just buckling the seat belt. You simply open the front of the car seat, buckle the seat belt across the belt path and then click the seat shut for a proper installation every time. SafeCell Impact Protection surrounds your child in safety components that work together to protect well beyond the established federal safety standards. 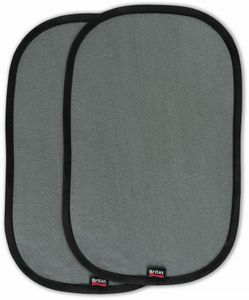 And Complete Side Impact Protection shields your little one in a deep protective shell designed to absorb crash forces and protect from debris. A car seat works best when it provides the right fit so the Marathon ClickTight comes with the Quick-Adjust, 12-Postion Harness and 2-Position Buckle to keep up with your growing child. Plush Foam Padding provides premium comfort at every touch point and there are even 7 recline positions with an Automatic Level Indicator so you can adjust to ensure the best installation angle for your vehicle. 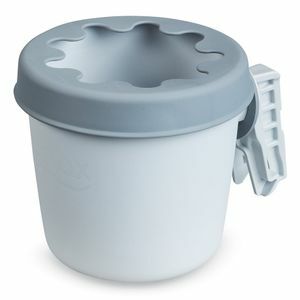 The Marathon ClickTight converts from a rear-facing position (for babies 5-40 lbs.) to a forward-facing position (for children 20-65 lbs.) and has been carefully designed to keep your child safe and you free from worry along the way. So click them in, give them a kiss and go with confidence.